I am currently living in chaos. Utter, utter chaos. I cannot move in my house without walking into a box, every single room is filled to the brim with crap. All waiting to be fitted into my future beautiful new kitchen. We started a half hearted attempt at kitchen shopping a couple of months ago. 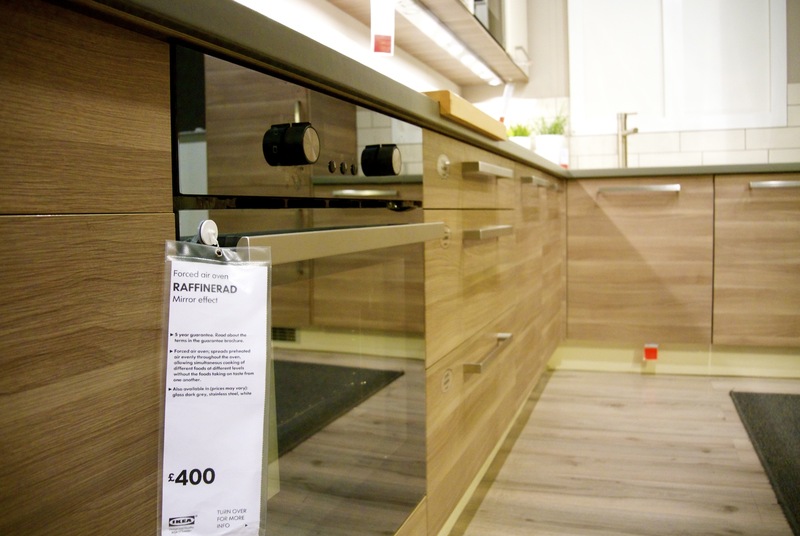 I was convinced that we were going to get an Ikea kitchen – convinced. My very first trips to Ikea (probably about 15 years ago) were always filled with longing glances at the beautiful Scandi designs, the clever space saving drawers, and magic corner cupboards. So our first recce was to Ikea Wembley to find out what we liked. Neither of us could find something we loved, but we thought that as we’re not particularly kitchen people, we’d settle for something we kind-of-sort-of liked. I was so set on having an Ikea kitchen. We then went to the kitchen designy bit as we naively assumed we could just chat to someone there and then. Nope. We’d need an appointment, only Monday to Friday, and for a cost. The whole area was so packed full of people, and we were both overwhelmed with such indifference that we just gave up. Our second lacklustre visit was to B&Q. We walked in, saw the mess they had made of the displays and walked out again. Cupboard doors falling off, worktops not fitting properly, entire displays taped off – it’s like B&Q didn’t even want our money. I’m sure B&Q kitchens are lovely but if they can’t be bothered to display them nicely, we can’t be bothered to be interested. We were starting to consider giving up, but thought we’d nip across the road to Wickes to see what they had. And as it turns out, they had our kitchen! We were there on a Sunday and it wasn’t that busy so there was plenty of space for us to have a good look at everything. 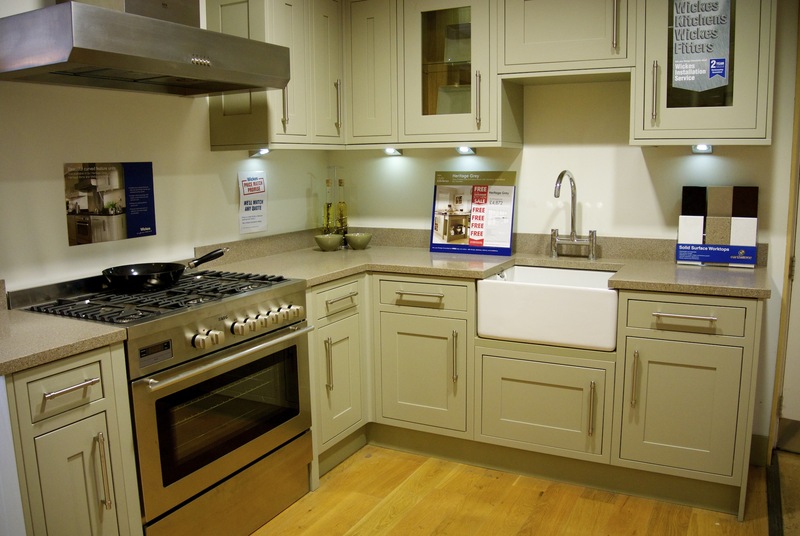 We were very pleasantly surprised by the quality of the displays and it meant we were really able to get a good idea of what to expect from a Wickes kitchen. We had picked out two designs that we actually genuinely liked, and were just about to leave with some catalogues for planning when someone asked if we needed any help. Without any pressure whatsoever, he let us know that we could get a design consultant to come out to our house to measure up and give us a proper kitchen plan – FOR FREE! We assumed that they’d not be able to visit for a while, but they were able to fit us in the next day. Our design consultant measured up everything, spent a good couple of hours with us trying to find out what we wanted from our kitchen, what we didn’t want, and then a week later, our computer generated design was ready. I think we were both still on the fence at this point, but as soon as we saw her design and all the new features, we knew we didn’t want to say no. 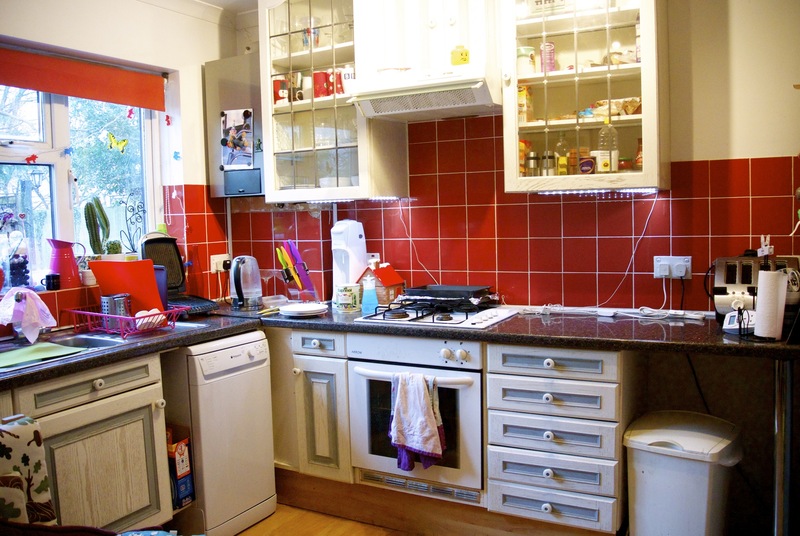 We had been living with an appalling kitchen for years – unusable cupboards, oddly shaped cabinets, an oven with a melting element which cooked food unevenly, a hob with half the rings not working, and 5 drawers which now refused to open. Our whole kitchen was a woeful misuse of space, and our consultant had now shown us a possible way out of our kitchen hellhole. 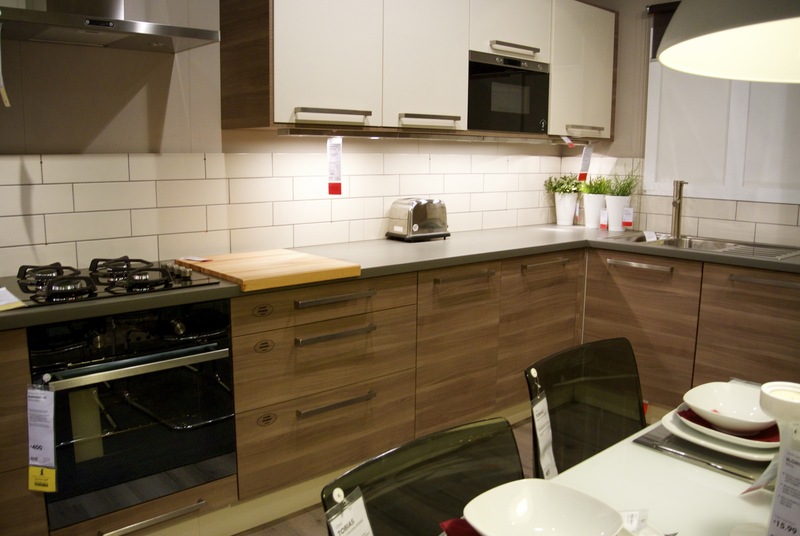 My Ikea kitchen dream was now dead – long live the Wickes kitchen dream. It’s not an exaggeration to say pretty much every part of the ordering process was easy. It was a little confusing at first – they cost up the kitchen and the fitting separately, and the cost of the fitting was a bit crazy. We had been given a ‘worst case scenario’ cost, and it very nearly put us off ordering. We thought we’d actually get the fitter in to see how much he would cost – we’d then have the option of cancelling or finding our own fitter. Or fitting it ourselves (HA!) but as it turns out, the fitter came in at a MUCH lower price. Add to this the amazing deal our consultant gave us, we decided to carry on down the road of a proper, grown-up, fully fitted kitchen. Bonus photo – this is our kitchen as it was. I am actually quite embarrassed to be posting this as it had become such a terrible mess where pretty much nothing worked as it should. I considered annotating this to explain what in particular didn’t work, but then realised the whole photo would be covered in notes. Just assume everything was a cataclysmic pile of crap. And yes, that is a picture of a squirrel with a party hat on stuck to the boiler. ← …they’re going to force us to eat lots of cake and then take an unreasonably long nap. This is incredible sad, but if I were you, I’d be so EXCITED about organising the kitchen and figuring out what goes where. Oh and I have a B&Q kitchen – all done through B&Q Trade counter though. Through a family friend who was doing all the fitting for us. The kitchen is the only bit of the house I am 100% happy with. Well, more or less. If Wickes hadn’t seduced us, then we probably would have ended up with B&Q, and it would have been fine. But the store we went in was just terrible. They need to up with game. And I am crazy mad excited. CUPBOARDS!